Imagine combining the thrills of finding a smooth and perfect stone with creating art. 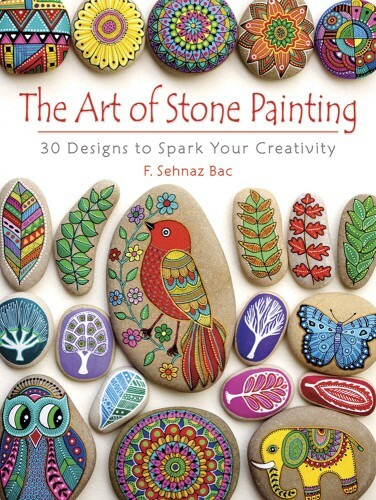 Dover, a leader in craft instruction books both old and new, offers three original titles on stone painting by artist F. Sehnaz Bac. All three books provide instructions for the beginner as well as tips and tricks for more experienced artists. Her love of ancient design has influenced her detailed and colorful work, the techniques for which she explains and shares in all three books. 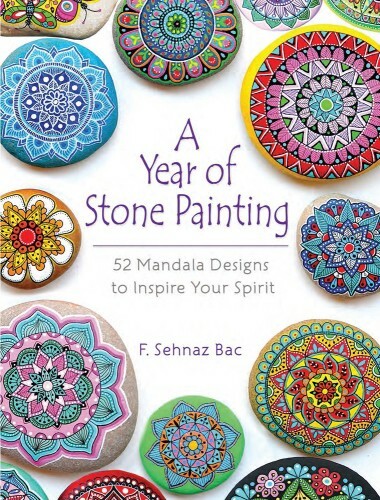 The most recent book, A Year of Stone Painting: 52 Mandala Designs to Inspire Your Spirit calls on the ancient religious practice of creating circular designs to focus the mind and the soul. Sehnaz starts the book with instructions on making basic grids and patterns in freehand or by using a compass or protractor. There is also a discussion of sacred geometry to tap into the ways human across many cultures have arrived at a spiritual practice through art. Each of the 52 chapters gives instruction for the week’s new design. 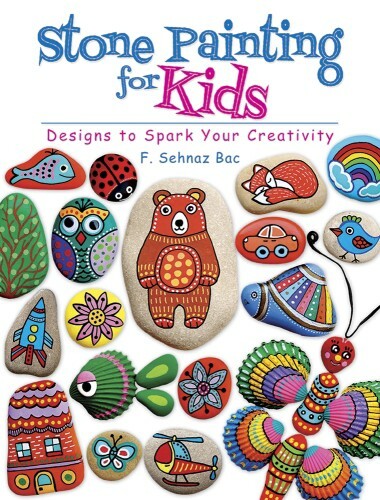 Sehnaz’s first book for Dover, The Art of Stone Painting: 30 Designs to Spark Your Creativity is popular and well-loved, garnering praise on book review websites as well as on Goodreads. While you can begin with any of the three books to learn about selecting and preparing stones as well as the best materials to create your works of art, the first book is a perfect place to start and will help the adult beginner to start with more basic designs and then work up. Be sure to visit Sehnaz’s Esty shop, I Sassi Dell Adriatico (Stones of the Adriatic) to see more of her amazing artwork.